A lot was expected from Honda today, especially when you say five launches you expect at least one of them to cater to the enthusiasts. Honda today launched the new Activa 3G along with updated versions of the Dream Yuga, Dream Neo, Dio and the new CB Shine. The Activa 3G has been priced at Rs. 48,852/- ex-showroom Delhi and will be available in five colour options, Trance Blue metallic, Lusty Red Metallic, Geny Grey metallic, Pearl White and Black. 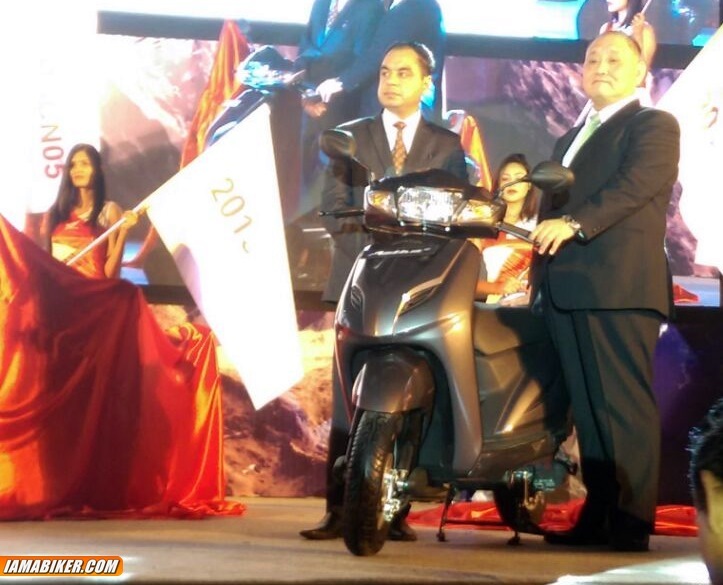 The new Activa 3G has in fact already reached some dealerships across India. The 3G stands for third generation. The new CB Shine gets some cosmetic design updates, new colour options and also Honda’s much acclaimed HET technology. CBS will also be available as an optional extra. The HET tech should see the CB Shine return better mileage on road. The Dio, Dream Yuga and the Dream Neo get new colour and graphic options. The new colours on the Dio look good but we sure wish it had got the 125cc engine thats currently doing duty on the Activa 125 along with the disc brakes. The highlight of the launch event apart from these will be the fact that Honda announced that there will be a total of 15 model launches in 2015. This 15 will also include 7 totally new products. That is something to look out for. The updated CBR250R or the CBR300R is very much awaited. The CBR650F is also something that the enthusiasts are eagerly waiting to hear about. Much suspense hangs over the popular 500/400 series of bikes from Honda. The 500 trio would make the midrange market super strong and Honda could surely rule the roost there. But no questions on these were answered with a ‘to the point’ reply today. The wait continues.